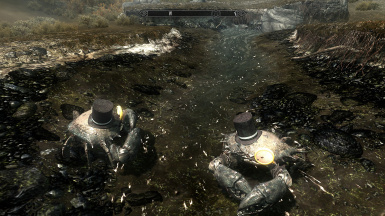 Model replacer adding top hats and monocles to mudcrabs. My steam workshop upload of Posh mudcrabs has come under allegations of this mod being stolen. I'm writing this here as proof that this account and Manic Zombie on steam are of the same author and would like to ask people to check the original upload date with the date of any other sites before accusing me of stealing my work. 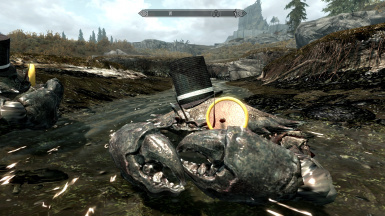 Replaces the models of all mudcrabs in the game with a mudcrab with a top hat and monocle. Extract into the Skyrim folder that contains the Data folder.